“Be Creative” is a new CLS Investment Theme that was introduced the beginning of this quarter. To recap its introduction, “Be Creative” means CLS will add more exposures to asset classes such as alternative and real assets. The benefits of investing in these segments rather than traditional stocks and bonds are detailed in the white paper “The Investment Case for Real Assets” by Grant Engelbart. 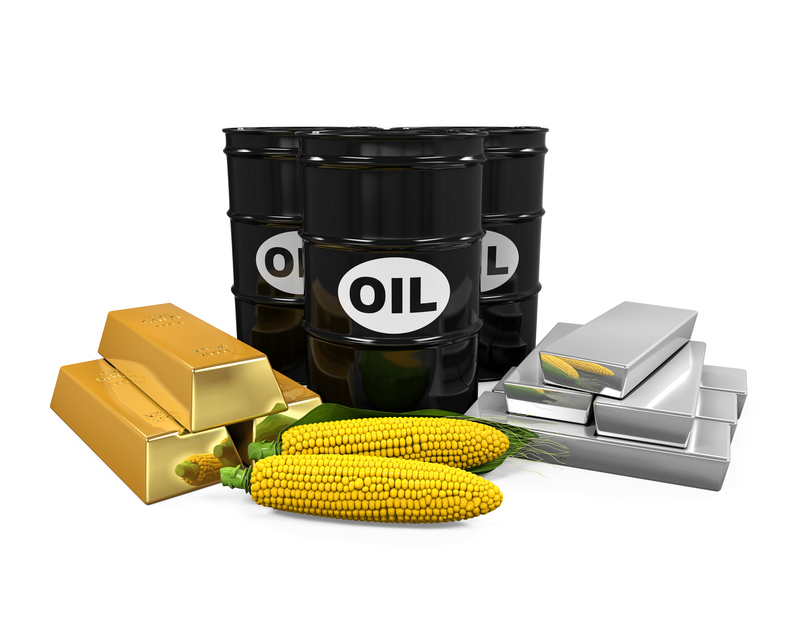 For commodity investors who do not want a direct physical investment, ETFs that utilize futures contracts offer an alternative. Futures contracts set a predetermined price deliverable at a future date. Since the buyer of the contract does not pay for the transaction upfront, cash is typically invested in a short-term fixed income security for the length of the contract and generally has a positive correlation with interest rates. Spot return, or price return, is simply the return generated by the change in spot price (the current market price you will pay for the immediate delivery of the good/commodity) throughout the term structure. There are two types of term structure: contango and backwardation. In a contango market, or positive sloping term structure, the price of the commodity in the future is higher than the contract or future spot price, so it generates a positive spot return. The opposite is true for backwardation where the price of the commodity in the future is lower than the contract price and has a negative slope. In order to avoid the physical delivery of the commodity, investors would have to “roll” the contract upon expiration. This involves selling the current contract and reinvesting the proceeds into a new contract with a longer expiration date. The roll return captures the change of the contract price, while excluding the effect of the change in spot price. It has an inverse relationship with the term structure. Essentially, roll returns allow investors to sell the expiring contract at a lower price and reinvest at a higher price when the market is in contango and vice versa in a backwardation market. This component of the return expectation assumes prices of commodities should revert to their real, average price of the previous 10 years. 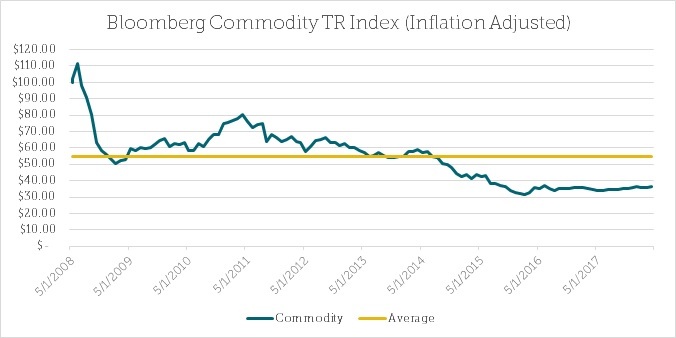 The chart below shows the current real price for commodities is well below the 10-year average (gold line). We expect the two will converge over time. We also include a few technical components when determining the CLS Edge Score. While the fundamental analysis provides insight into the intrinsic value of the assets, technical analysis provides insight into investor sentiment or behaviors. The technical components include seasonality factors, mean reversion factors* that determine whether the ETF is overbought or oversold, and technical overlay that uses moving averages. To arrive at the final, net CLS Edge Score, we subtract the costs of holding and trading the ETFs. * The assumption for mean reversion is that the market trend will revert back to its long-term average. When the ETF is overbought (oversold), we are bearish (bullish) on the fund as we expect the trend to reverse in the future.